The A319 is a reduced, minimum modified version of the A320. It has the same fuel capacity as the A320-200 but it has fewer passengers. 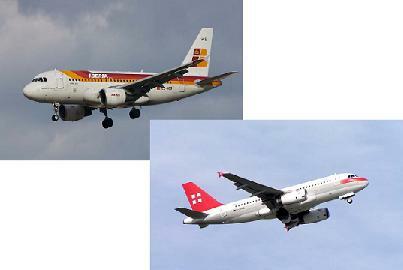 A319s belongs to the most popular variation of the A320 family. The direct Boeing competitor for this aircraft is the 737-700. The large easyJet order of one hundred twenty plus A319's was one of the biggest aircraft sales deals recently, competed only by major competitor Ryanair's order for Boeing 737 aircraft.